For the past couple of years, “Research Ready” has featured our newly processed archival collections. Starting this month, we also will include a few highlights of items recently added to our print materials. As always, this is just a sampling of the many, many resources to be found at The Texas Collection! 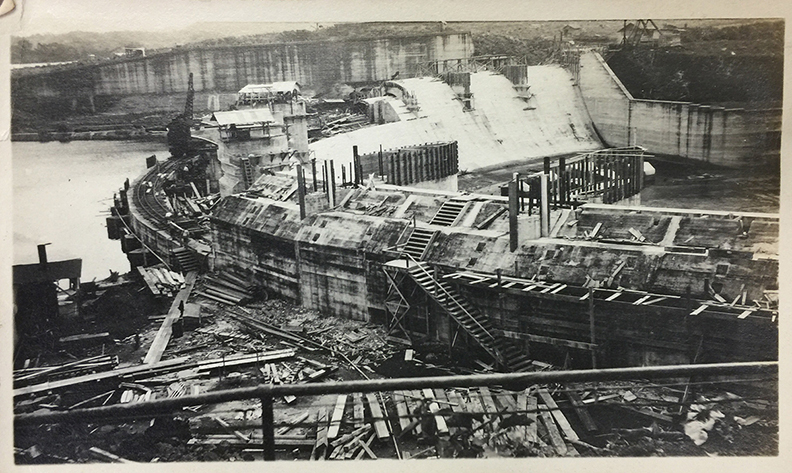 Dr. McGlasson served as the chief medical officer for the last year of the building of the Panama Canal. This photo, amid a scrapbook largely comprised of European cityscapes and landscapes, highlights the scale of this massive construction project in which he played a small role. Irvy Lee McGlasson papers 3946, Box 4, Folder 1. Jack and Gloria Parker Selden collection, 1755-2007, undated (#3954): These papers include materials about the Parker family throughout Texas history, including the stories of Cynthia Ann and Quanah Parker. Much of the collection is Jack Selden’s extensive research on the Parker family to write his book Return: The Parker Story in 2006. E.S. James papers, 1938-1969 (#3965): Sermons, correspondence, and other collected materials about James, his colleagues, and subscribers to the Baptist Standard. E.S. James was editor of the Baptist Standard for twelve years. Irvy Lee McGlasson papers, 1904-1931 (#3946): Materials include artifacts, photographs, and other materials about McGlasson, a doctor from Waco that served as the chief medical officer for the workforce building the Panama Canal. Le Champ-d’Asile, au Texas. Paris: Chez Tiger, 1820. 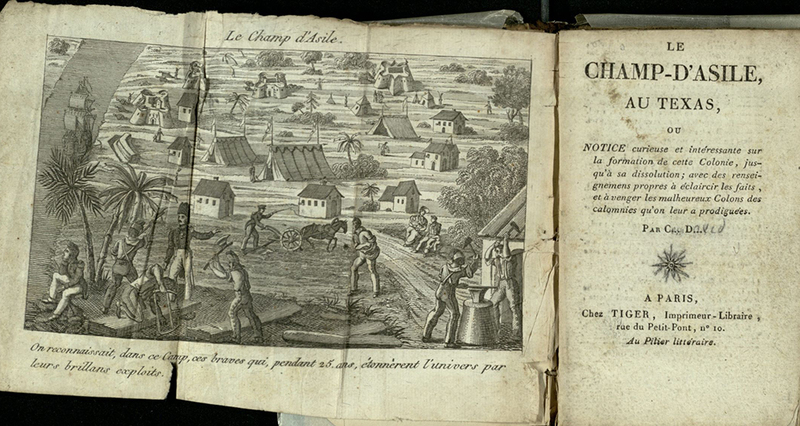 This volume, listed in Thomas W. Streeter’s renowned Bibliography of Texas, 1795-1845, provides a rare account of the failed Champ-d’Asile colony of Napoleonic loyalists who settled on Texas’ Trinity River in 1818. Annual Catalogue Hill’s Business College, 1905-1906. 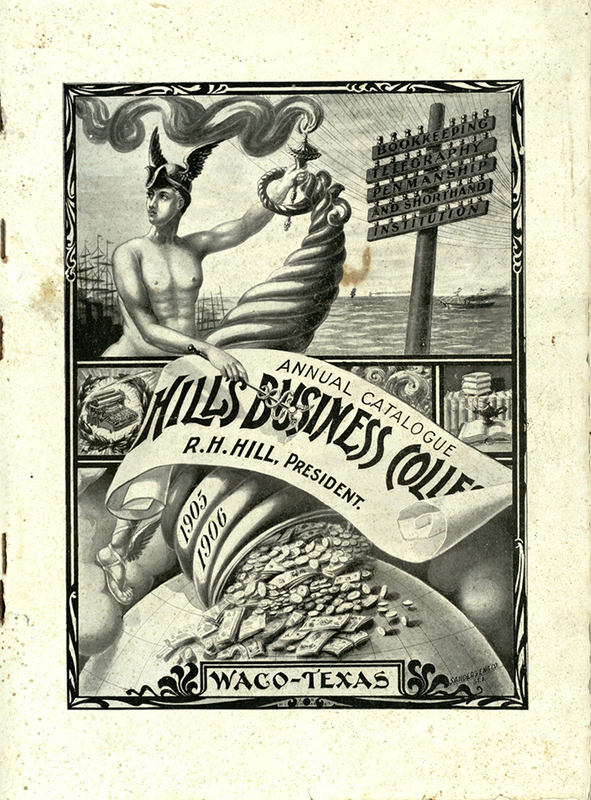 Waco: Hill’s Business College, 1905. Print. In 1881, Robert Howard Hill founded Hill’s Business College, which operated in Waco for more than 40 years. This volume offers a glimpse into the faculty, curriculum, and student body of the 1905-1906 academic year. The City of Fort Worth and the State of Texas. St. Louis: Geo. W. Engelhardt & Co., 1890. Print. 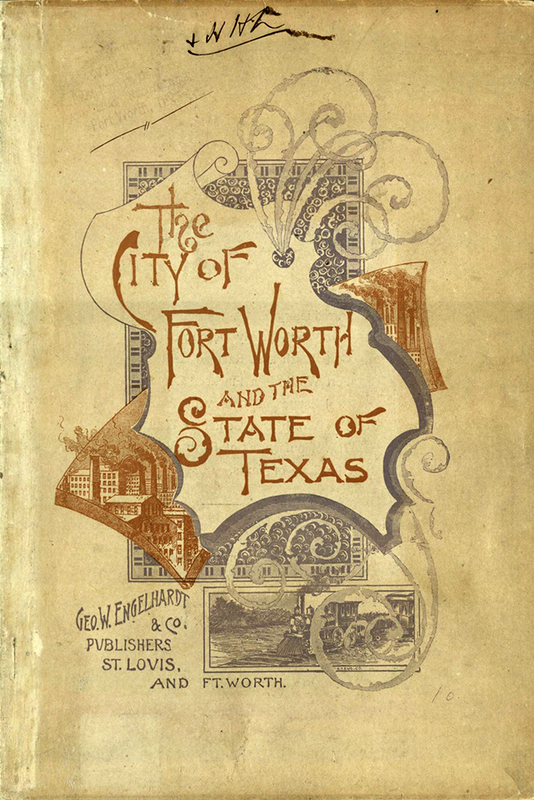 Part of the Engelhardt Series of American Cities, this volume examines business opportunities in 1890 Fort Worth and includes information on the railroad, real estate, manufacturing, and finances.